The writing on the wall for governments is that blockchain provides an efficient, quick, protected, and transparent mechanism to organize government services and correspond with their citizens. Governments are trustees of their peoples’ most confidential information; tax information, driver’s licenses, Social Security numbers and health details to name a few. Additionally, governments at all levels are responsible for maintaining records including births and deaths, marital status, property transfers even criminal activity. Handling and using this data can be problematic for even advanced governments. Often records exist only on paper and in order to make a modification, an official registry would require citizens to be there in person. Blockchain technology could help governments to simplify management of this critical data in a more efficient manner while at the same time addressing the issues of trust and transparency and the need for data privacy and security. Through blockchain it becomes possible for governments to simplify the administration of private information. It is critically important to maintain security of this information as government agencies access and using sensitive public-sector data. Let’s quickly explain how blockchain technology works. Blockchain is an encoded digital ledger that is stored on multiple global servers in a public or private network. It contains digital data records, or “blocks,” and once these blocks are stored in this virtual chain, it is impossible to modify or expunge the data by any one entity. Rather they are verified and managed using computerization and shared governance agreements. Taxpayers everyday are coming to expect the same ease, productivity and modernization from the public service that they currently experience in the private sector. In the past, government organizations were handcuffed with, trying to balance a need to protect privacy, with the elements of openness in an everyday working environment. Blockchain changes all this by allowing for invariable transparent records in a secure and trustworthy setting. Government agencies will be able to employ this digital ledger technology to protect trusted records and facilitate citizen interactions. In Sweden for example, the government is piloting a blockchain database with the goal of streamlining real-estate transactions. The database allows for trusted digital verification of mortgage deeds, purchasing contracts, bills of sale, and other crucial documents. This reduces the time between the writing of a purchase contract and the final registration of the asset transfer from months to days. Eventually, this could be reduced to hours, while at the same time mitigating opportunities for errors and fraud. We've already seen positive benefits from blockchain in the private sector, opportunities become even greater when this expands to open governments. Now is the time for governments to begin to include blockchain in their innovation agendas and enterprise architectures. By doing this, governments can test to establish what works in practice and better take advantage of the full potential of this data-driven service. 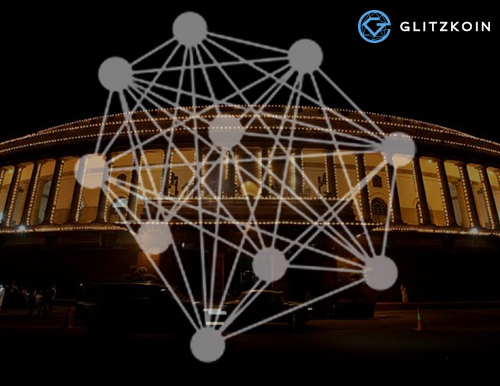 GLITZKOIN is a good example of an industry leader who believes that, there is a better way to conduct trade using blockchain technology. We are building a diamond based trading platform based on blockchain technology to help modernize the diamond industry to make it more secure, transparent and allow direct access to diamonds between sellers and buyers.